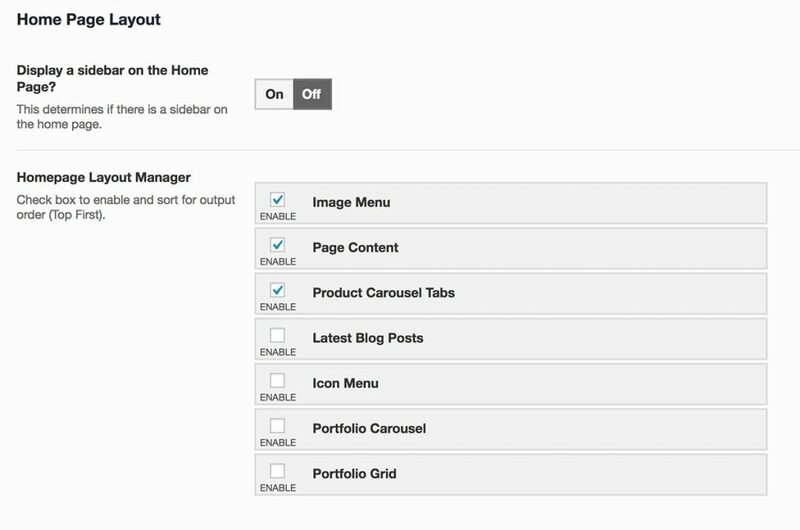 Navigate to Theme Options > Homepage Header and choose and create a header for your home page. Or select none. If using Page Title you will see an option to enable typed text. See example here. Choose if you want to have a sidebar on your page. 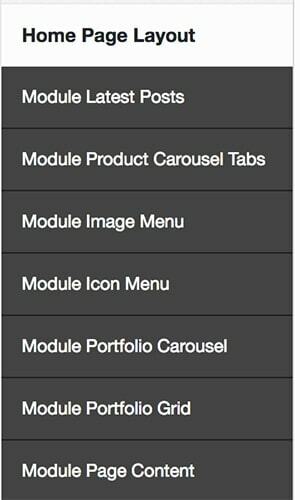 If so, select a sidebar to use (you can create sidebars from Theme Options > Misc Settings and add content from Appearance > Widgets). 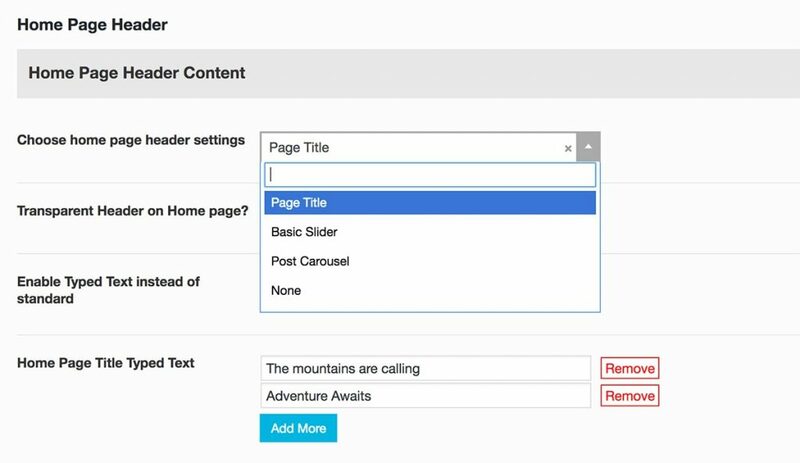 Using Pagebuilder by siteorigin is a great way to manage your home page (and other pages). You can create full width content areas as well as unique custom columns layouts. First make sure you have the plugin installed (premium users can go to Appearance > Theme Plugins). On the page click the “page builder” tab and you can start creating. For more on page builder see this tutorial.